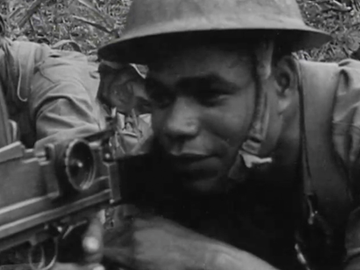 This intense newsreel reports from the war in the Pacific in Easter 1944, as American, Fijian, and New Zealand soldiers battle the Japanese in the Bougainville jungle. Cameraman Stan Wemyss found himself isolated with a Fijian patrol, amidst casualties and under fire from 'Japs'. He later recounted being so close to the action he could hear troops talking in two languages he couldn't understand; at one point he lays down his camera to pitch a grenade. Grandfather of future actor Russell Crowe, Wemyss was awarded an MBE in 1947 for his services as a war correspondent. This 1994 ‘home front noir’ is set in World War II Wellington, where the plots — a murdered marine, exploited working girls and gonorrhea — spread amidst the invasion of US soldiers stationed at Paekakariki. Kerry Fox (An Angel at My Table) is a public health nurse who becomes romantically linked with the US investigating officer (Tony Goldwyn — Ghost, TV's Scandal) while pursuing the STDs and the truth. They’re supported by Oscar-winning US veterans Rod Steiger and Robert Loggia. John Reid (Middle Age Spread) directs, from a Keith Aberdein script. This 1983 film looks at New Zealand in World War II, via a compilation of footage from the National Film Unit’s Weekly Review newsreel series, which screened in NZ cinemas from 1941 to 1946. It begins with Prime Minister Savage’s “where Britain goes, we go” speech, and covers campaigns in Europe, Africa and the Pacific, and life on the home front. The propaganda film excerpts are augmented with narration and graphics giving context to the war effort. Helen Martin called it "a fascinating record of documentary filmmaking at a crucial time in the country’s history". Ron Cross is a military man through and through. A proud soldier, he feels lucky to have had the experiences that shaped his life. 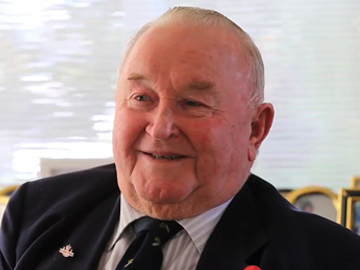 Joining up as a regular Army Cadet, Ron served in both the Malayan conflict and the Vietnam War. 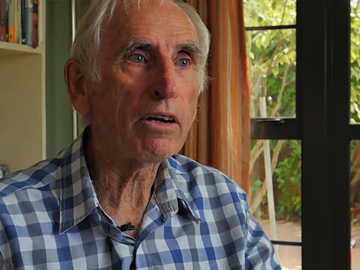 From the comedy of preparing for jungle warfare in snow-covered hills around Tekapo, to the tension of being fired on at close range on the roads of Vietnam, Ron’s vivid recollections are captivating. His one regret: that the lesson of how not to have wars has yet to be learned. At any one time between mid 1942 and mid 1944, between 15,000 and 45,000 US servicemen were camped in NZ preparing for, and recovering from, war in the Pacific. The marines brought colour and drama to the austerity of home front life. Fifty years later this TV documentary used interviews, reenactments and archive material to explore the “American invasion”. Sonja Davies recalls a Wellington street fight kicked off by a racist insult directed at Māori, and her wartime pregnancy and romance (1,500 marriages ensued from “when the Americans were here”). 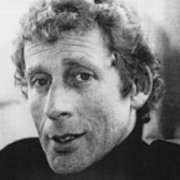 Keith Aberdein is probably best known for playing the small-town policeman who arouses Bruno Lawrence's ire, in Kiwi screen classic Smash Palace. But his screen work covers almost every angle: from covering the Wahine disaster as a reporter, to directing, to writing scripts for some of the most ambitious television dramas of the 1970s. Clinical psychologist Nigel Latta first made his mark on Kiwi television in 2008 with Beyond the Darklands, based on his book Into the Darklands, about New Zealand criminals and how they came to be. 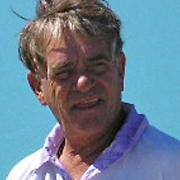 Latta hosted the show for five seasons, alongside three lighthearted, politically incorrect series about teenagers and other humans. 2014 saw the launch of wide-ranging issues show Nigel Latta. In the 1980s ex-NZBC staffer Howard Moses produced and directed a trio of award-winning alpine films: Across the Main Divide, Incredible Mountains and Turn of the Century (a history of skiing in NZ). Winter Olympic chronicle Zimska Olimpijada won best doco at 1987's Mountainfilm in Telluride Festival. 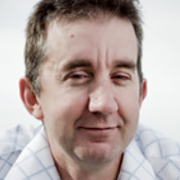 Based in Australia since 1991, Moses has worked in TV in Western Australia and the Northern Territory.